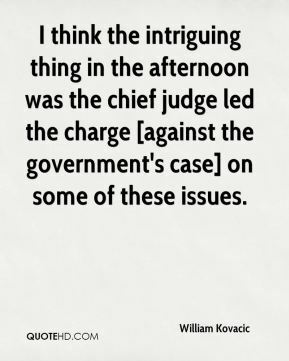 I think the intriguing thing in the afternoon was the chief judge led the charge [against the government's case] on some of these issues. 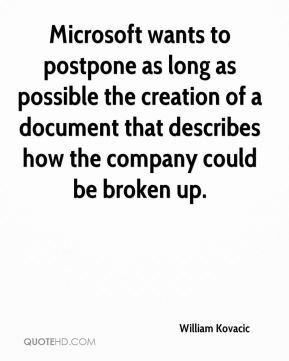 Microsoft wants to postpone as long as possible the creation of a document that describes how the company could be broken up. 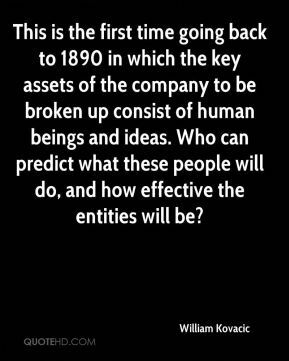 This is the first time going back to 1890 in which the key assets of the company to be broken up consist of human beings and ideas. Who can predict what these people will do, and how effective the entities will be? 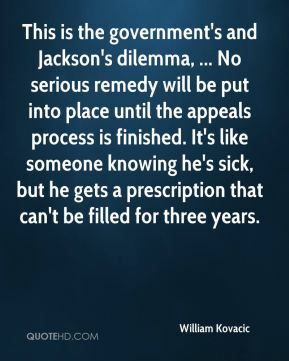 This is the government's and Jackson's dilemma, ... No serious remedy will be put into place until the appeals process is finished. It's like someone knowing he's sick, but he gets a prescription that can't be filled for three years. 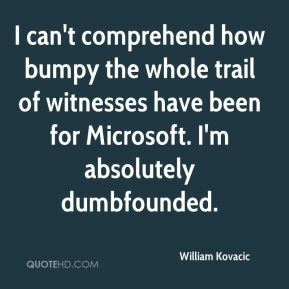 I can't comprehend how bumpy the whole trail of witnesses have been for Microsoft. I'm absolutely dumbfounded. 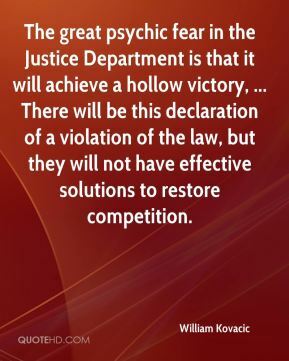 The great psychic fear in the Justice Department is that it will achieve a hollow victory, ... There will be this declaration of a violation of the law, but they will not have effective solutions to restore competition. 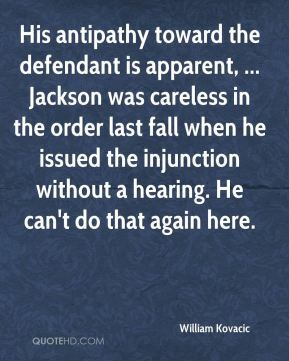 His antipathy toward the defendant is apparent, ... Jackson was careless in the order last fall when he issued the injunction without a hearing. He can't do that again here. 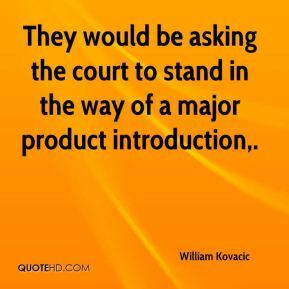 They would be asking the court to stand in the way of a major product introduction. 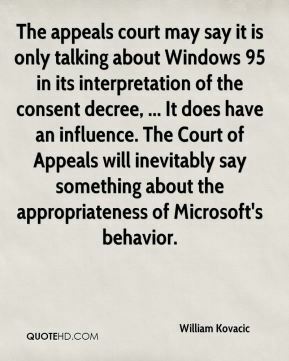 The appeals court may say it is only talking about Windows 95 in its interpretation of the consent decree, ... It does have an influence. The Court of Appeals will inevitably say something about the appropriateness of Microsoft's behavior. 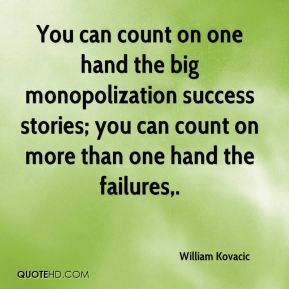 You can count on one hand the big monopolization success stories; you can count on more than one hand the failures. 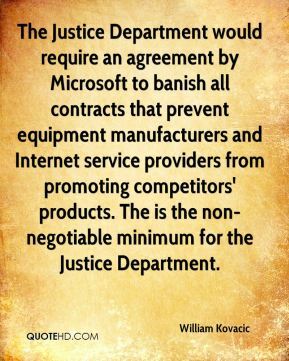 The Justice Department would require an agreement by Microsoft to banish all contracts that prevent equipment manufacturers and Internet service providers from promoting competitors' products. The is the non-negotiable minimum for the Justice Department. Microsoft succeeded in taking the initiative on the appeal, ... 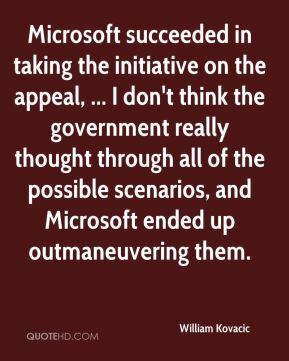 I don't think the government really thought through all of the possible scenarios, and Microsoft ended up outmaneuvering them. 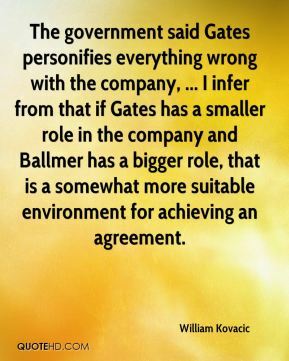 The government said Gates personifies everything wrong with the company, ... I infer from that if Gates has a smaller role in the company and Ballmer has a bigger role, that is a somewhat more suitable environment for achieving an agreement.